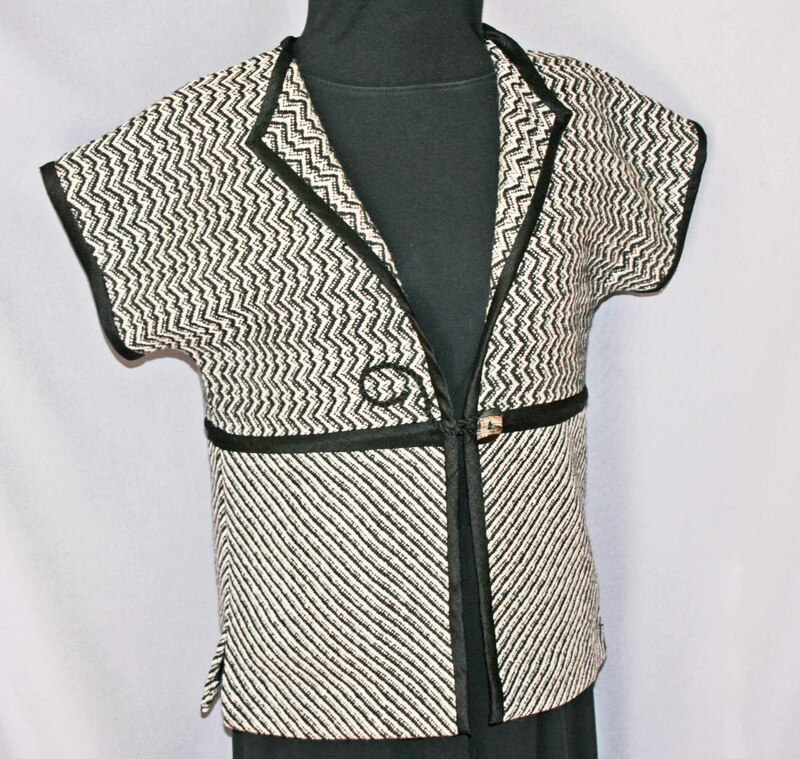 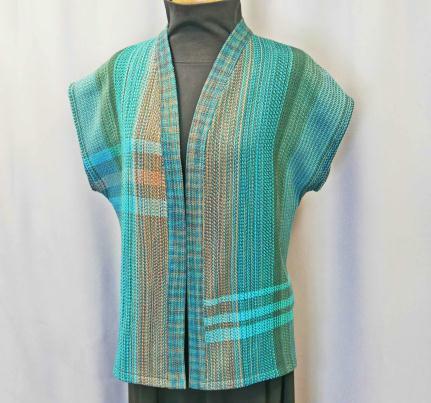 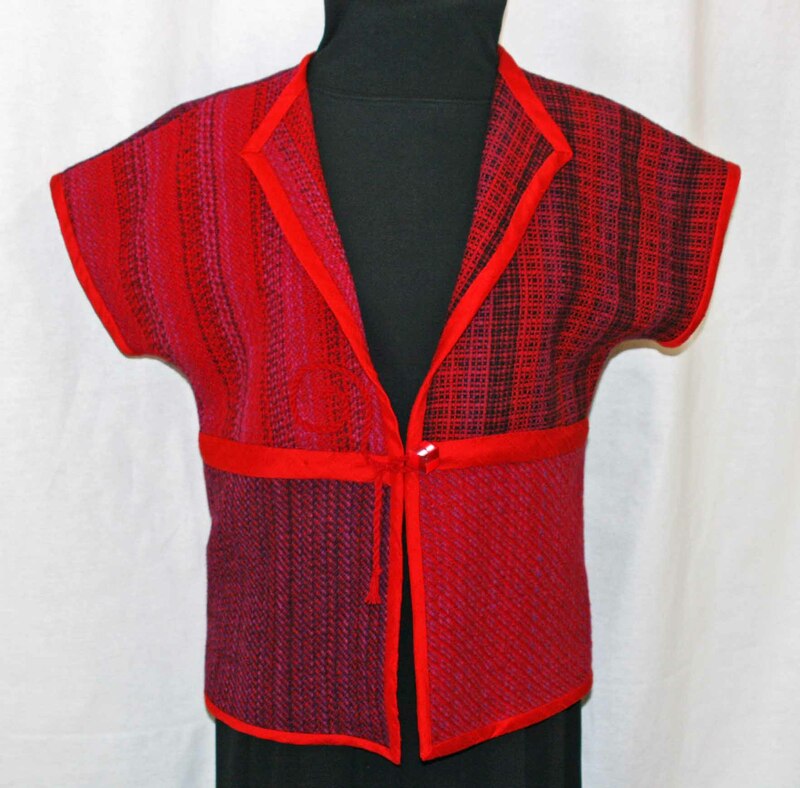 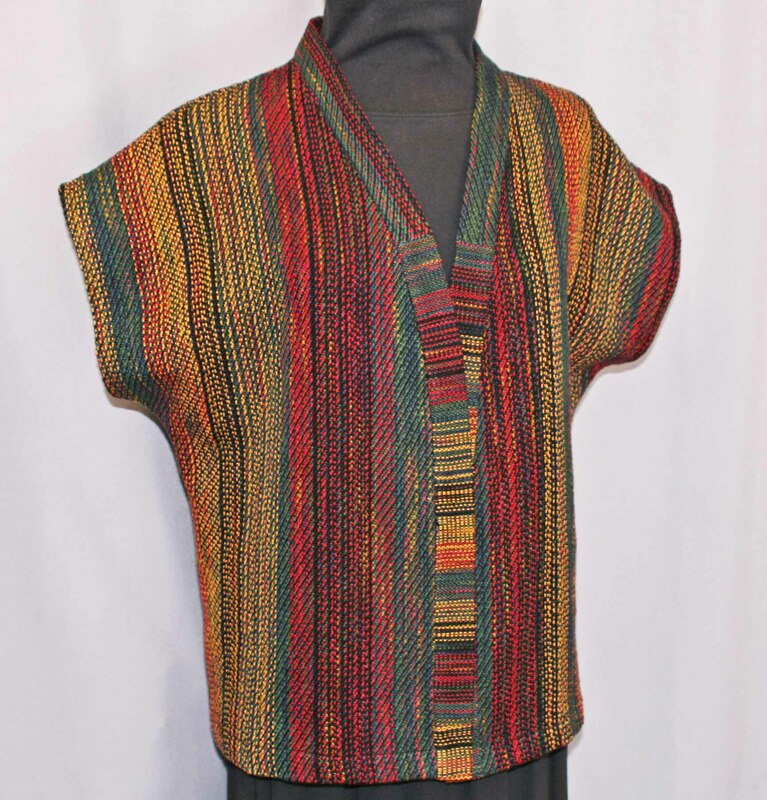 Short sleeved jackets and vests are woven from mixed fibers (cotton, silk, bamboo, rayon), and from wool. 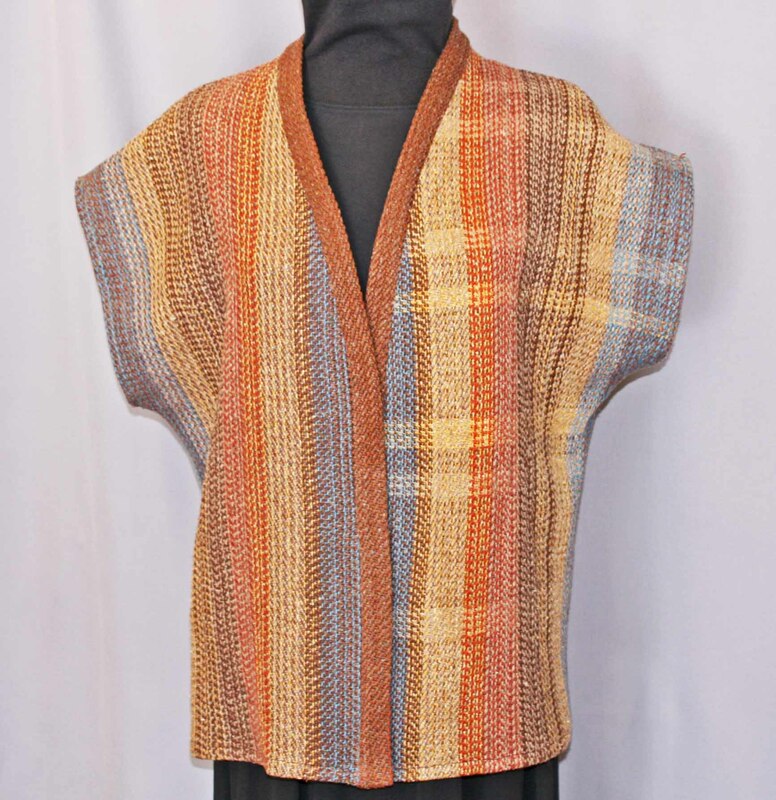 Patchwork vests are re-cycled from other jackets and capes. 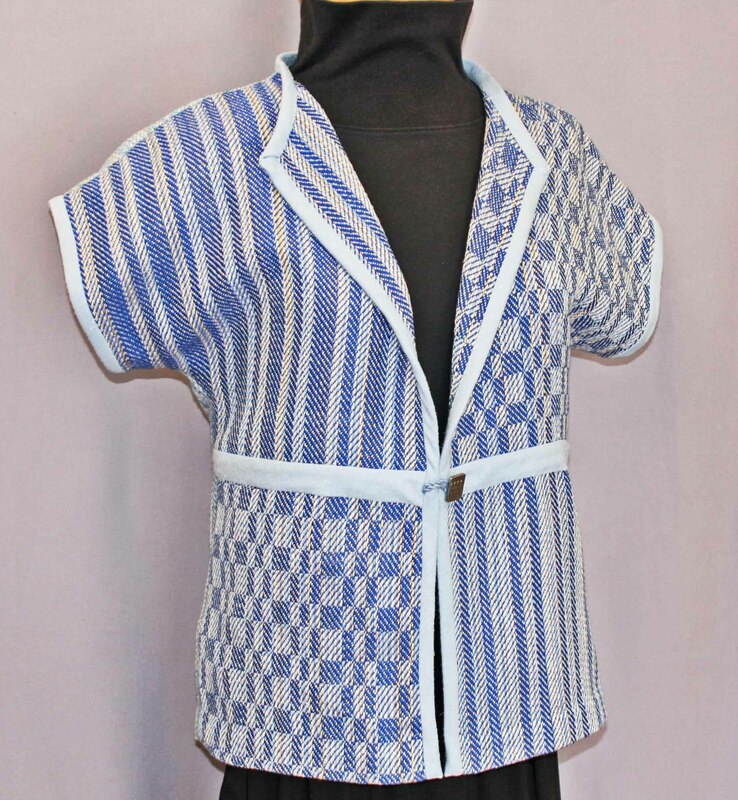 These may be ordered through my Etsy shop or contact us.